You guys!!!! Look! An impromptu interview with some of our favorite rock stars!! S.C. Stephens News!! Upcoming Book Releases and More! Remember how crazy we all were over Thoughtless and Effortless? Remember how we so patiently waited for them to become available, in full e-book format on Amazon and Barnes and Noble? And then we discovered that S.C. Stephens had a whole slew of other books (that many have loved, too!!). Yanira: I did get everything she had on Feedbooks when I read Thoughtless. I just love her character development. I also love the Conversion series. YAY!!! An update!! 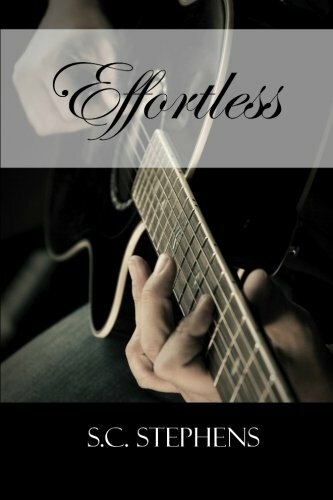 For those of you that still read print books, or for those of you that are so excited about reading this novel, that you’ll read it in print, S.C. Stephens has just announced her “Effortless” release!! Maryse’s husband here. This year I thought I would check in with all of the guys and girls I hear so much about to see if they had anything to say to the person that writes so much about them.